It’s time for another RPG Blog Carnival post. This month’s theme is “A Stack of Surprises” hosted by Mike Bourke over at Campaign Mastery. What a theme it is! I’ve already covered this theme from a few angles on this blog. I wrote about building up to a big story plot twist in a campaign and used my fourth edition Dungeons and Dragons Eberron game as an example of my methods in action. There’s another post on this blog about what to do as a dungeon master when the players surprise you. Then there’s all the surprising magic items, monsters, D&D fifth edition rules modules, spells, adventures, backgrounds, and more you’ll find in the Free Game Resources section of this site. What’s left in this theme that I haven’t covered? Plenty. Surprises make the game fun and memorable. As a dungeon master they make you feel accomplished and satisfied. So I need to keep them coming. If you want to surprise your players in this way, set up is key. You’re players have to think they know where the story is going and that means you need to give them misdirecting clues. Here’s a few things to rely on which can set up a great surprise. Tropes. Most players coming to the table have consumed a least a bit of genre fiction. Go ahead and use expectations brought to the table to really surprise them. For instance, your players are tasked to with hunting a savage beast who tears apart unfortunate citizens in the rat-infested slums of a city whenever the moon is full. Many will naturally assume, “That’s clearly a lycanthrope.” After some investigation and throwing a red herring at the PCs, like a werewolf living in the slums who swears she has her transformations under control, they might find that the problem is far worse than they ever imagined. These aren’t lycanthrope attacks. Moonrats, magic rodents who gain super intelligence as the moon grows fuller, are behind the attacks. Worse still – these attacks are just the first step in their evil plan for dominance of the city. What’s Hot. Sometimes we build our campaigns around stories that are popular in the moment (for instance zombies are pretty hot right now thanks to The Walking Dead… one could also imagine a D&D game set in a Westros-style world thanks to Game of Thrones). This gets even more specific than a single trope, so much so that your players will probably roll their eyes when you initially describe the setup to them. Keeping players engaged during the setup may be difficult, but if you can keep them in the game, they’ll be even more shocked when the big twist happens. When I was 11 years old I saw the movie Titanic with a bunch of friends and the next day our game was centered around the PCs taking the largest passenger ship ever built across an ocean. Even at age 11 we exchanged get-a-load-of-this-guy looks with one another concerning our DM as he described an iceberg hitting the ship. Imagine our surprise when demonic sharks showed up and a demon worshipping wizard in the belly of the cargo hold was revealed to have caused the accident in order to serve up a huge sacrifice to his aquatic demon overlords. DM Habits. If you’ve been running with the same group of players for a while, odds are they’ve begun to identify some of your favorite monsters, traps, encounter set-ups, plot twists, and story hooks. Let this expectation set your players up for a big surprise. I apparently have a tendency to put the romantic interests of PCs in trouble to get investment in a story. I even had a player email me his character’s backstory and mention in big capital letters that his fiance was a super capable combatant and spellcaster. To play on that trope I had said fiance show up mid-enounter and offer to hold off a hoard of aberrations by herself while the PCs made an escape. The PCs were pleasantly surprised to learn that not only did said fiance not get captured or killed during her desperate play, she also managed to hold off the enemy long enough to let the PCs get to where they were going without further trouble. Published Adventures. Want to set up and surprise your players with minimal effort? Take a popular adventure module and change an iconic detail of it. Some may cry sacrilege, but I cry surprise (you can always go back and play the module as written later). Imagine the reactions if the villain in Ravenloft turned out to be a deranged, shapeshifting gold dragon who loved pretending to be a vampire or if at the end of Rise of Tiamat it was actually Zuggtmoy who rose. Small Details. Not every surprise needs to be a huge, memorable story twist. Sometimes you can set up something quick based on a player’s expectation about a creature or situation and give it a small twist to create a memorable surprise. A red dragon could breathe acid because its mother was a black dragon. A troll could be immune to fire because it wears a magic ring. These surprises will knock players back and give them something to talk about for years to come. If you can give players a small hint that not everything is as it seems before you reveal the twist, that will make your payoff all the more sweeter. Be careful not to give too much away as you don’t want players guessing the surprise early. This is a case where less really is more. In the moonrat example above, mentioning the presence of large rats in the slums is a great hint to give your players. Odds are they’ll think that’s just descriptive flavor, but it’s an image they’ll recall when the intelligent rodents come gunning for them. While setups may seem like they take a little work, if you’re good on your feet, you can twist a story in the moment. If you find midsession your story is going to some place expected. Go ahead and make something that surprises even you happen. If you can twist the plot in a way that makes sense, go for it. If not, it can be totally random. You don’t even need to justify to the players why a troupe of mummy bards is suddenly attacking them, you can figure that out later. Everything has fallen apart. Jaela Daran is dead. Bel Shalor is free. It’s all your fault. The Silver Flame burns no more. You have started the apocalypse. That is how epic tier began for the players of my fourth edition Eberron game. How did the 20 previous levels of adventuring get them there? Read on, and I’ll show you my method of making big plot twists pay off. This post is inspired by this month’s RPG Blog Carnival theme, With a Twist. It was chosen by Mike Bourke over at Campaign Mastery. Thanks for a great topic and for hosting, Mike! My Eberron campaign was full of twists, turns, backstabs, betrayals, and secrets. The PCs were wrapped up in so many schemes it was difficult for them to know friend from foe, even amongst their own party ranks. Eberron is perfect for this kind of game, since Keith Baker designed his world with plenty of spies, terrors, and hanging story threads for DMs and players to yank on. The main arc of my game for the first 20 levels involved the mystery surrounding the Day of Mourning. If you’re unfamiliar with Eberron, one of its mysteries is that an entire country was enveloped in a deadly magic mist, killing millions and creating monstrosities which are still active in the borders of the mist-shrouded wasteland now called The Mournland. No one knows what caused this disaster, but there are several options. In my game I chose to have the events on the Day of Mourning caused by the test of a doomsday device gone horribly wrong. The adventurers slowly discovered the plot and exposed the subsequent coverup. Eventually they gathered all of the scattered pieces of this device before rival and enemy factions might. That’s how things went bad for them. The adventurers all cast themselves as agents of the Church of the Silver Flame (think Dark Ages Catholic Church). The Church, which also has an entire country and army under its power, worships a literal silver fire, which burns at the site of a showdown between the paladin Tira Miron and the demon lord Bel Shalor. The Silver Flame itself is said to be the soul of Tira Miron (and her couatl ally) who gave her life to bind Bel Shalor in the plane of Khyber. As long as the flame burns the demon lord cannot break free of his prison. Imagine the adventurers’ shock and horror when they realized their own actions extinguished the Silver Flame and set Bel Shalor free. In order for a twist to pay off, it shouldn’t come out of the blue. A good twist should be something the players don’t see coming, but also gives answers to one or more unanswered questions. Past moments of the campaign that didn’t make sense will suddenly click into focus. Lay the ground work early for your twist. Good twists are not just surprising, they’re rewarding. There should be an “It all makes sense!” or “We should have seen this coming!” moment. My twist had its groundwork laid in the first session. Bel Shalor was imprisoned, but his right hand was free – a rakshasa called Durastoran the Wyrmbreaker. The party encountered this lore early in their adventuring days since they and their patron, Cardinal Gaffin, were members of the Church where the story is common knowledge. They knew that Bel Shalor, though imprisoned could still speak to people of the material world, though he could not otherwise influence it directly. Rakshasa are shape shifters, so Durastoran could be anyone. Bel Shalor himself contacted each of the PCs at least once, usually pretending to be the voice of the Silver Flame giving divine orders. He even convinced two PCs to do multiple evil deeds for what was seemingly a greater good. Other hints of Bel Shalor rising came here and there throughout the campaign. Symbols of his cult were found in dungeons and settlements, suggesting his followers had become more active. A blind orc soothsayer told the players to abandon their current path and help him prevent a great evil from rising. They put his idea on hold because they saw their immediate help needed elsewhere, planning on coming back to him later. When they did try to find the orc, they found that he had been murdered. Clues like these were peppered everywhere. Perhaps one of the most baffling things that happened to the PCs during those first 20 levels was that followers of Bel Shalor appeared in one of the characters’ most desperate moments and offered them aid. Though wary, the PCs accepted this help since it came during a time when the alternative was death. All of these hints made the actual moment of the twist more than a WTF moment. It was a moment that was able to answer many big questions at once and satisfy some story threads while exposing entirely new ones. Now you’d think all these threads would make players think, “Oh man we have to investigate all this Bel Shalor stuff!” but as I noted above the players had far more pressing concerns and were caught in the middle of a tangled web of politics, deceit, and war. One reason the players didn’t discover the twist in my campaign until the appropriate time was because their minds were elsewhere. There were more immediate concerns in their lives and the world than dealing with Bel Shalor (or so they thought). Keeping your players busy will keep the hints you drop just hints as they deal with threats everywhere and navigate a treacherous landscape. As I mentioned above, my players were racing to find out what happened on The Day of Mourning and then gathering the pieces of the device which caused it. Why were they racing? Because other people wanted this device to use for their own nefarious purposes. 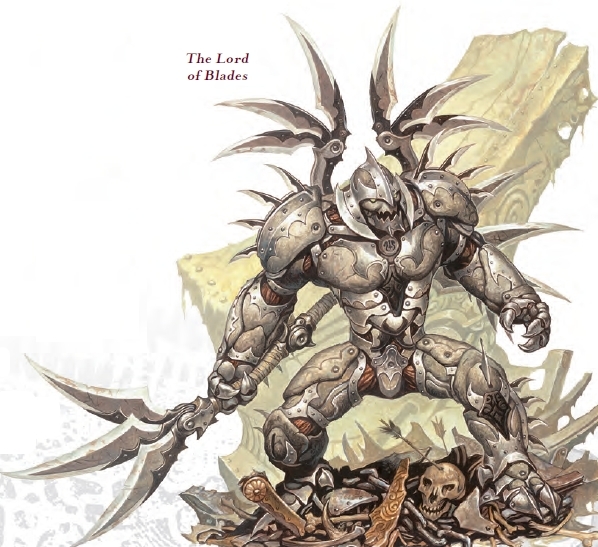 In Eberron their are large merchant houses who were looking to lay hands on the device, some to keep their involvement in actual events covered up, others to use it themselves, there were rival governments looking to recover the device, radical factions within the Church, and terrorist organizations who wanted the doomsday weapon for obvious reasons. Often a twist involves a betrayal or at least the unexpected action of one NPC (or PC). Just watch Game of Thrones, Arrow, or almost any serialized genre television show and you’ll see what I mean. Characters drive the action of stories. If the world just blew up for no reason other than it was time for the world to blow up, that’d be surprising, but it would be unsatisfying. If the world blows up because an NPC put it into motion ages ago and secretly had the characters helping him or her along the way, well that’s a very satisfying twist. In order for that particular twist to work, the PCs really had to trust the right NPC. With so many spies and sneaky NPCs in my Eberron campaign, it was difficult for my characters to know who to trust. Yet, there was one person they trusted – their patron, Cardinal Gaffin. From the beginning, Cardinal Gaffin showed himself to be a friend to the players and a good person. He saved their lives several times with valuable information, exposed spies within the Church, educated and warned the PCs about their enemies, and put himself at risk for the adventurers. He trusted them and eventually they returned this trust. It was evident they did since they broke him out of a super secure prison and then helped him become the High Cardinal in the Church. It’s easy to achieve mutual trust in the players’ minds with all that life saving going on. Gaffin was their rock of trustworthiness. It was very convient for me when they went to Gaffin and asked him to create a special ritual so they could hide all the pieces of the doomsday weapon they were gathering in a secret extradimensional space. No one would have access to these pieces accept for the party… and Gaffin because he designed the ritual of course. Turning challenges into weaknesses is easier said than done, but when it comes to a big plot twist, you’re going to come up against challenges, especially if you’re dropping hints for your players. Remember that as the DM with a little creativity, you can turn challenges to advantages for your twist. The biggest challenge of pulling of a twist like this is tracking everything that’s happening in your game and making sure your players are still in control and driving things. The worst thing that can happen to your twist is you railroading your players into it. When the PCs decided they wanted to look at the activities of Bel Shalor more closely, I allowed them to do it, but I made sure their other enemies kept working to recover pieces of the doomsday device. This kept the PCs from looking too deep. It was a chance for them to uncover a few more clues and also a chance for me to add in even more distractions. As I mentioned two of my PCs were unwittingly working with the demon lord and the rest of the party uncovered this in their investigation. This caused party in-fighting which pulled their focus from the big twist that was coming. Then there are, of course, the bookkeeping challenges of keeping track of the your different threads. Regularly emailing your players updates, keeping a lot of Google docs, using software like Realm Works, or using a website like Obsidian Portal help you keep your story organized. They’re quick, easy, and you can even have the players help you out. Finally, savor your payoff when the moment arrives. Lean into it, believe in it, have fun, and your players will too. If you’ve set everything up well your players’ minds will be blown when the reveal occurs and they’ll be hungry to know what happens next. It should play out like the end of a great season of television. My payoff was, of course, that Cardinal Gaffin was actually Durastouran the Wyrmbreaker. Once the players had assembled all the pieces of the doomsday weapon, which caused massive magical phenomena, Gaffin threw a banquet in their honor. During the banquet, he stayed behind and turned on the device which extinguished the Silver Flame and set Bel Shalor free. As the PCs arrived on scene they were able to teleport the device into The Abyss before it did too much damage, but they were not yet strong enough to take on the already free demon lord and had to regroup and gather new allies. The players loved the twist and the stage was now set for the epic tier of the campaign. If you like what you’re reading, please check out my podcasts on The Tome Show, follow me on Twitter, tell your friends, share this blog post, and/or leave me a comment and let me know you think. Thanks!